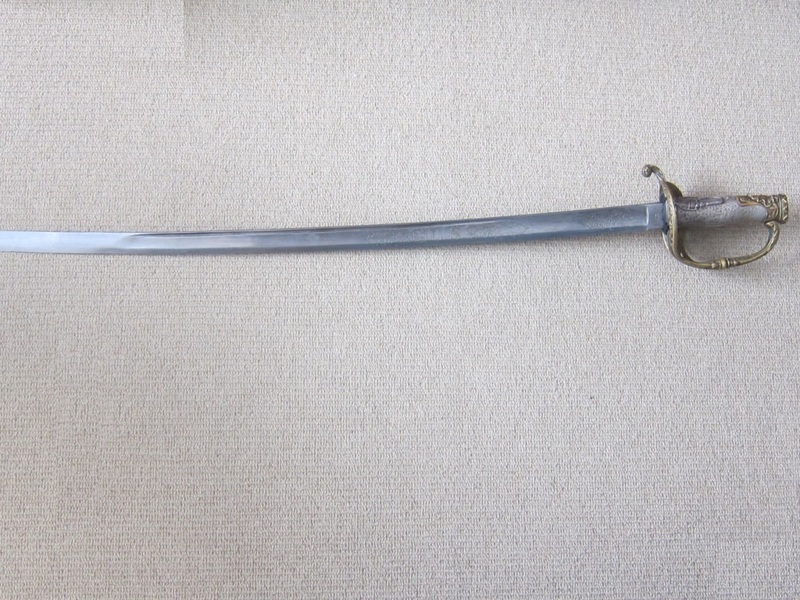 Back in the 1960's "House of Swords" produced swords they retailed as fantasy sword. 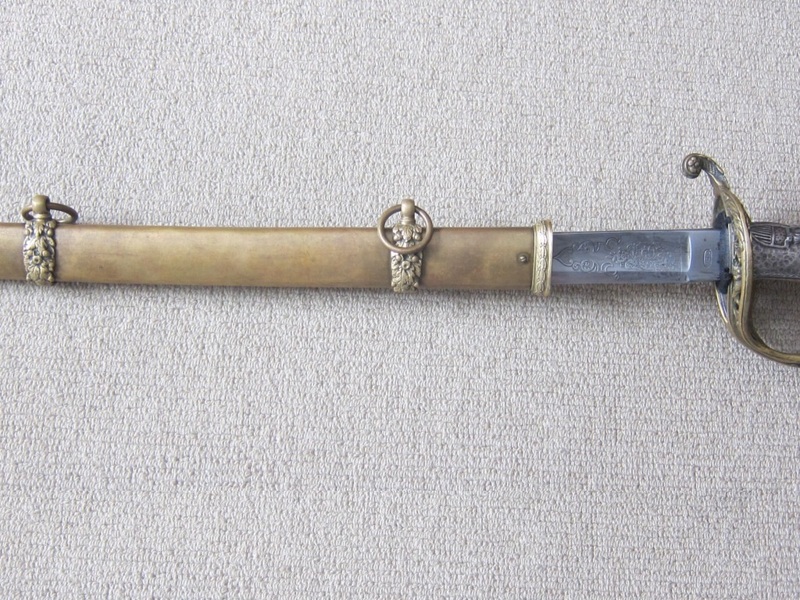 They were copys/fake resembling high-grade presentation swords. 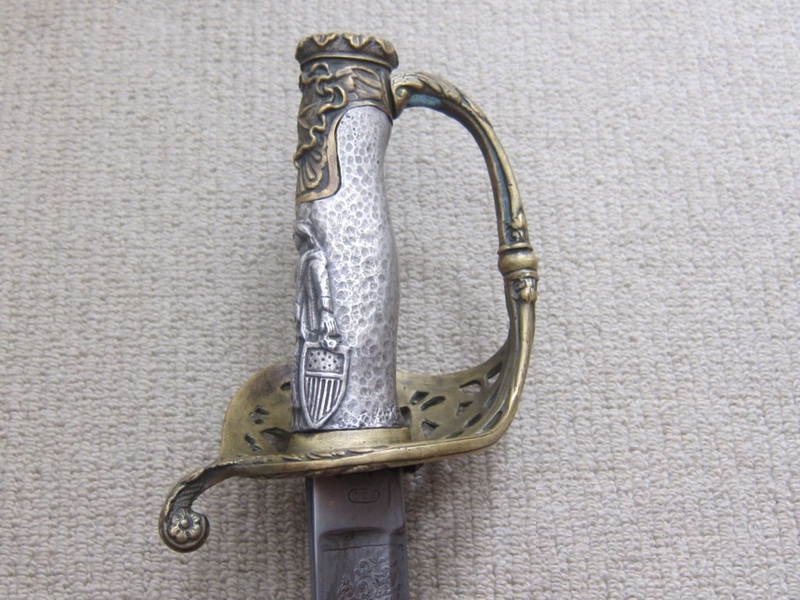 Often they used some real parts to include scabbards, scabbard mounts and blades. 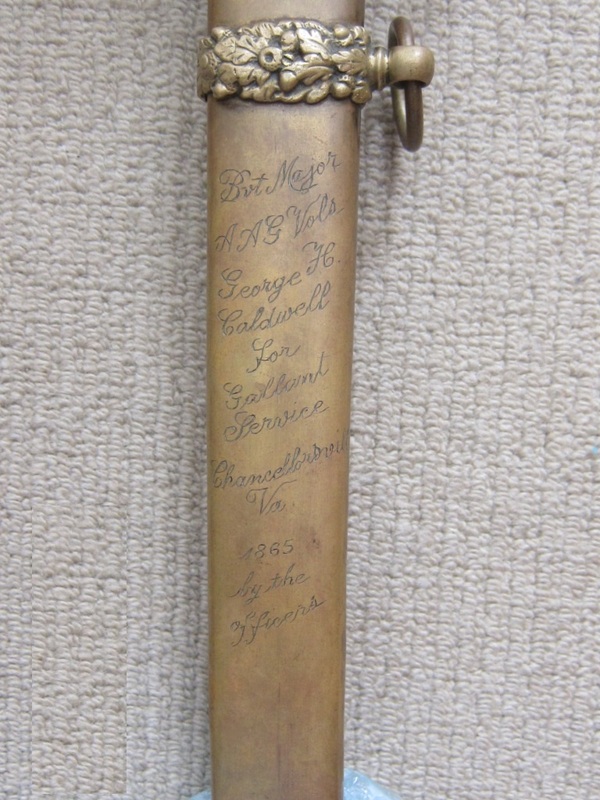 However, they would embellish scabbards by adding bogus presentations, adding etching to an enlisted blade to make it appear to be of higher quality, or recast mounts and drags. 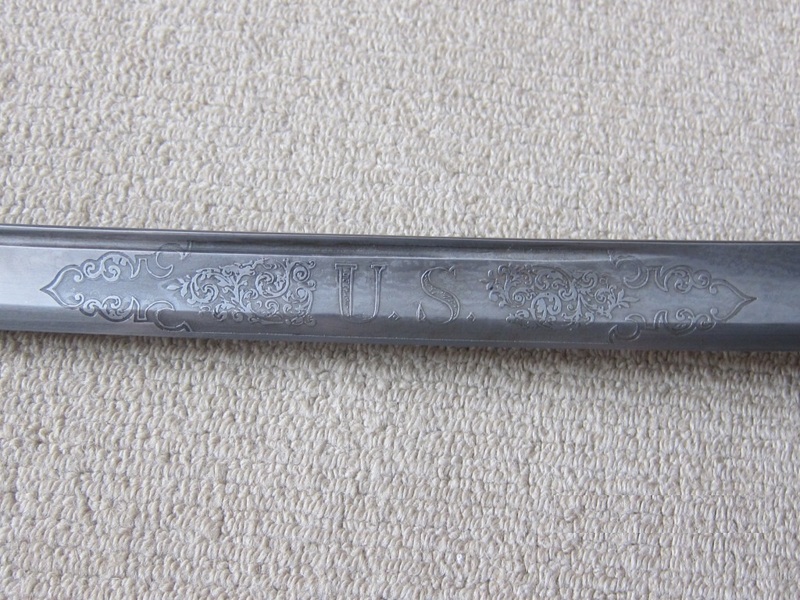 Often the hilt and grips were recast copies made from molds based on original designs. 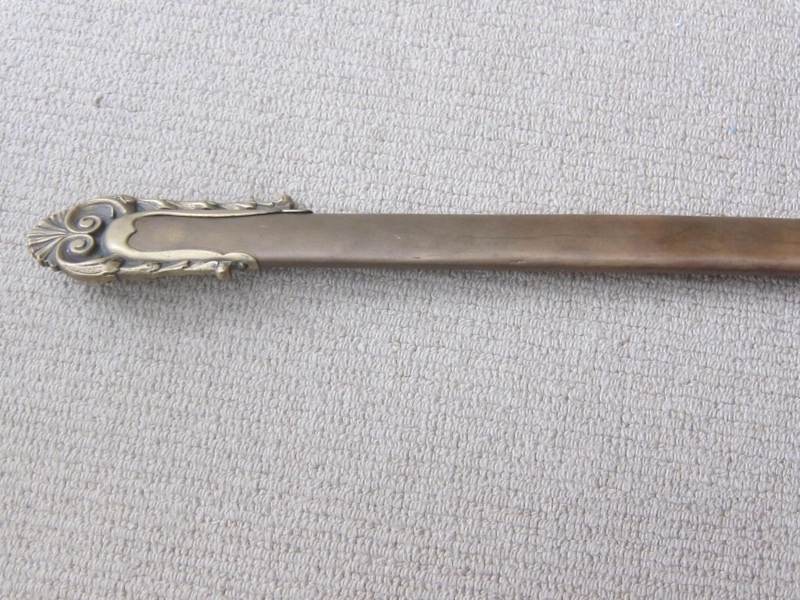 The key to identifying these fakes is in the details. 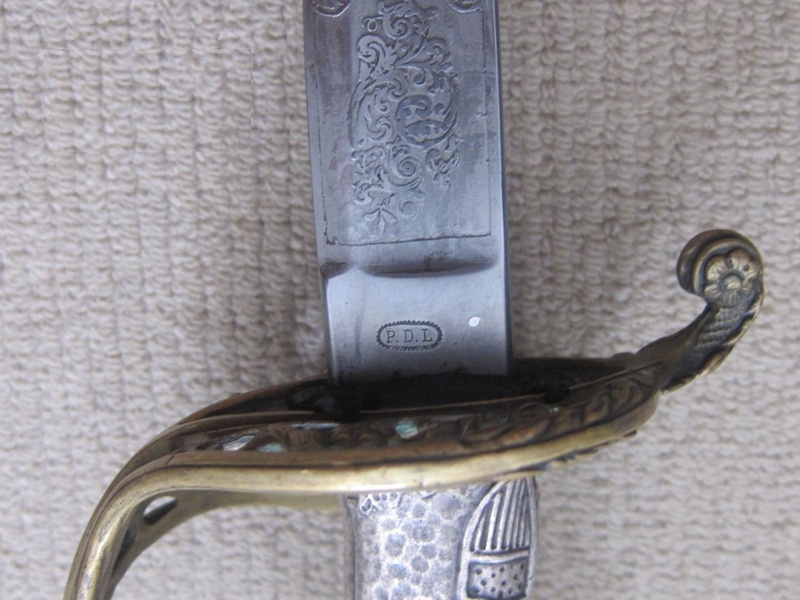 The fake do not have the sharp crisp details found in an origin Civil War period sword. 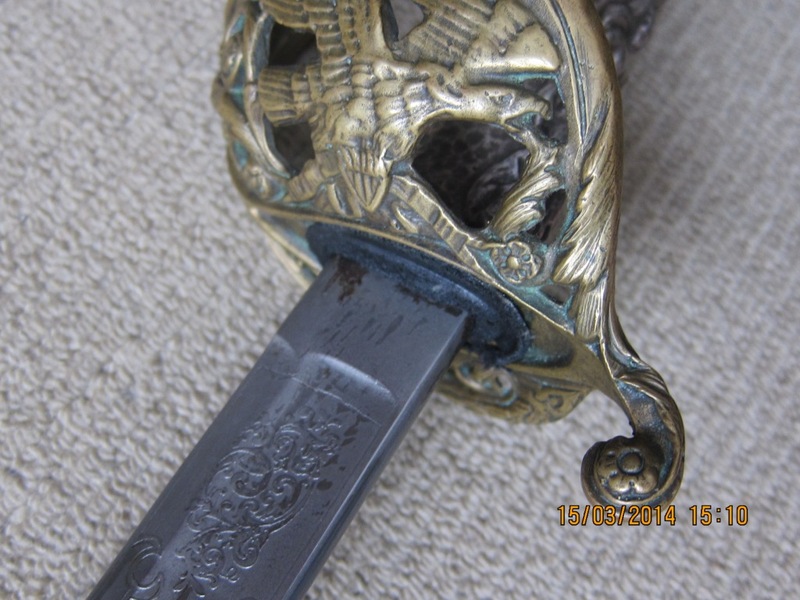 Look at the guard and grip and you will see the features on the fakes lack detail and have a worn down or rubbed down appearance. 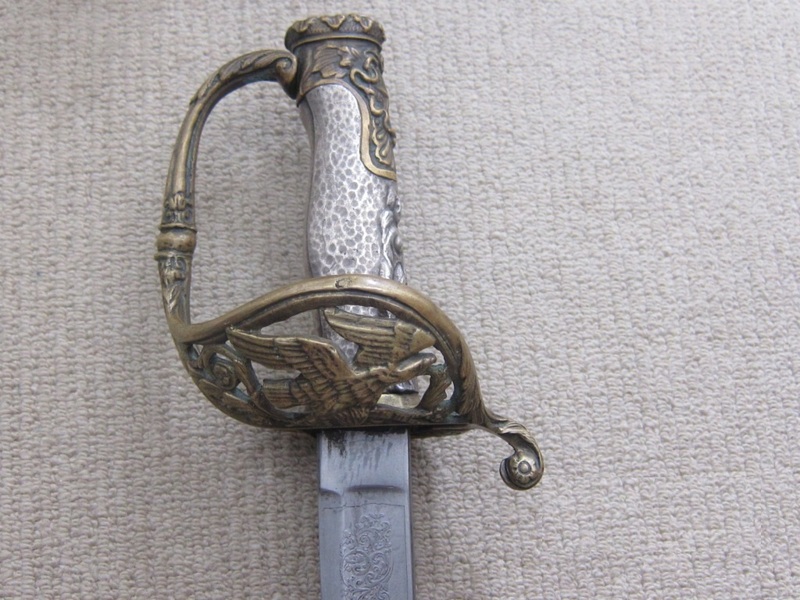 Look at the etching of the eagle on the blade, especially the eagle’s beak. The eagle’s beak should be small, but if it looks like a parrot’s beak, fat and wide, it is FAKE. 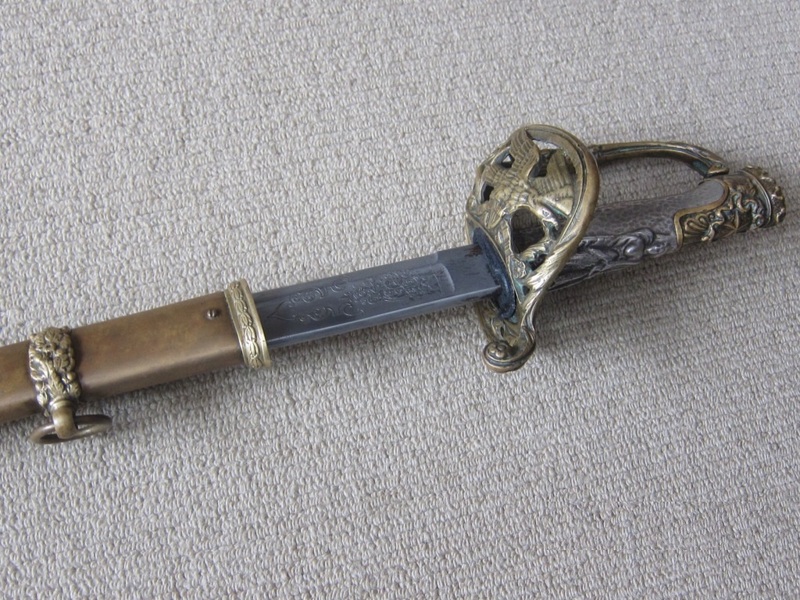 Do not be fooled by an amazing presentation on the blade. If it is too good to be true, it is! Again look at the fine details. 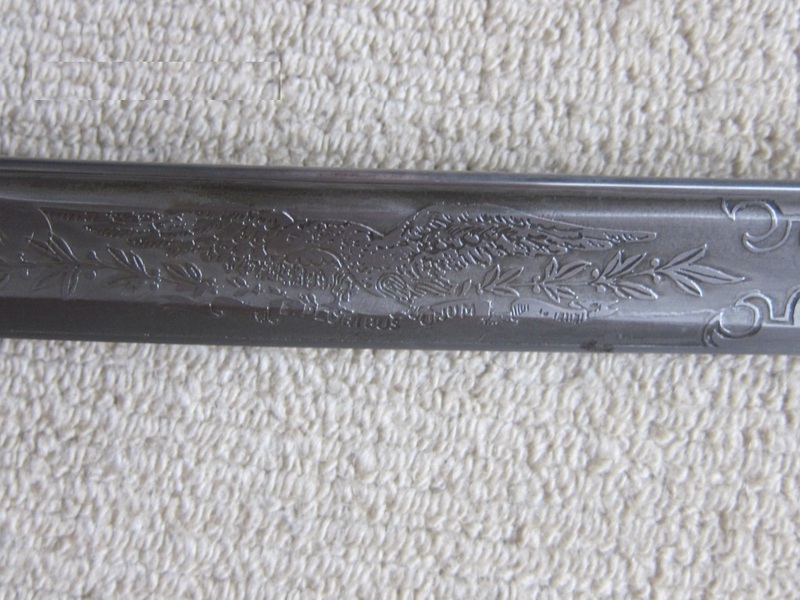 True etching is crisp and sharp, and the fake are not and use an etching style never used during the Civil War. Always get a professional opinion before buying. If the seller does not agree to a second opinion, run! He knows it is a fake, and is hoping that you will be fooled. Here are some photos of a fake that recently surfaced in Sydney Australia. 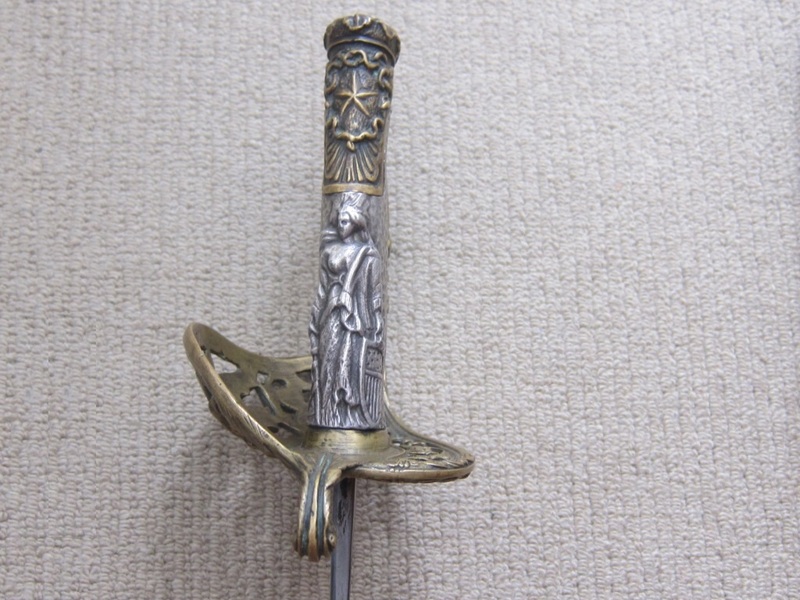 Though not the same hilt design, these photos are of original swords and are posted so you can see an example of the high-quality details found on original period pieces.